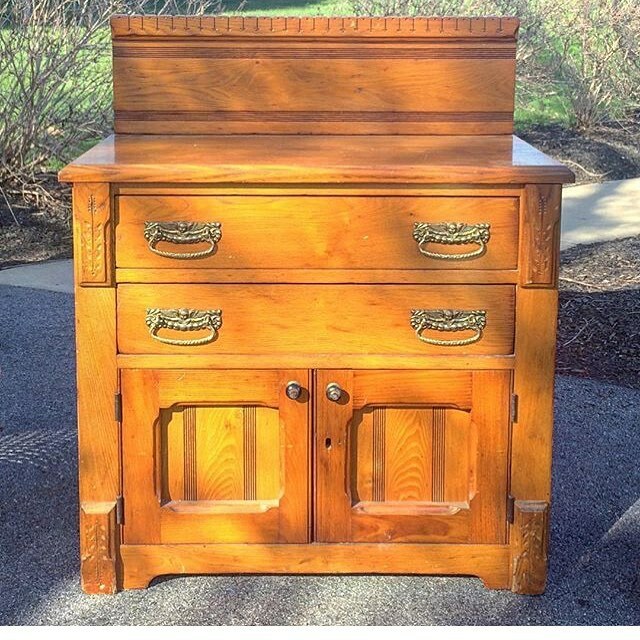 Remember this rather orangish Victorian Eastlake style washstand I posted onInstagram a few weeks ago? If you don’t, that’s totally okay. I go through a lot of furniture pieces from one month to the next. 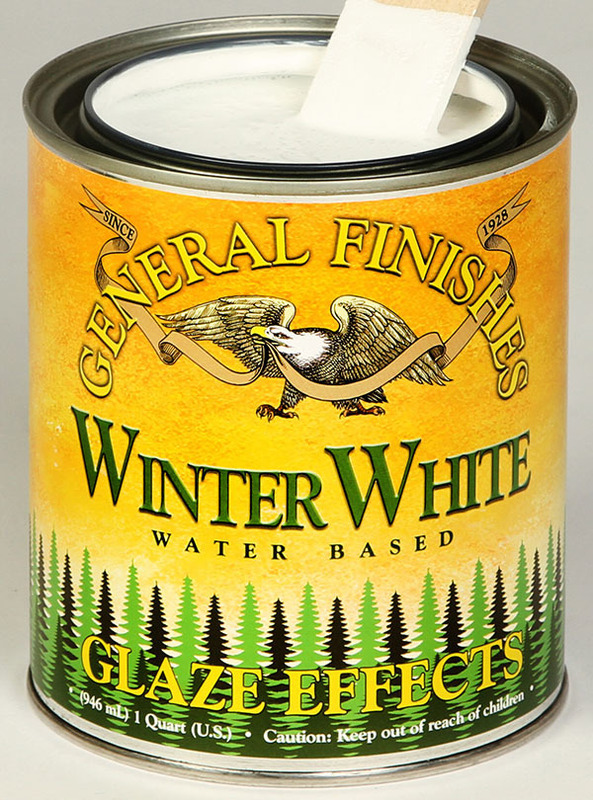 At any rate, I’m happy to announce that it is now sporting a fresh new look thanks to General Finishes products. My first step in this makeover was to remove the gorgeous backsplash and strip the top. There was a very thick layer of poly on top of the orange tinted stain. It came off very easily thanks to Citristrip (affiliate link). 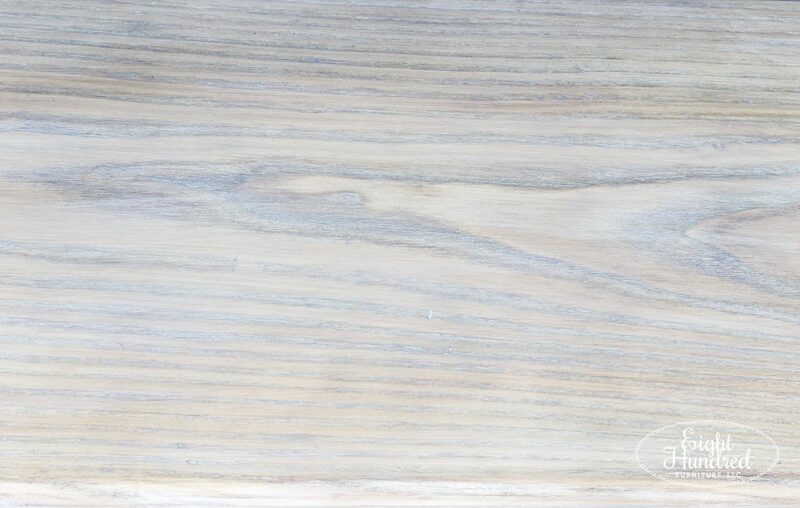 After cleaning the top off and giving it a healthy sanding, I used General Finishes Winter White Glaze Effects to whitewash the wood. It turned out soooooooo pretty! 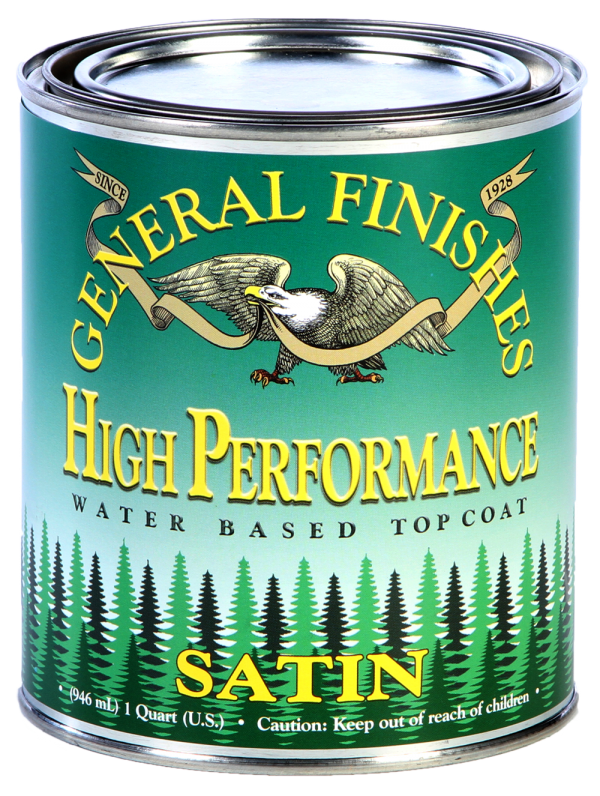 To seal and protect the top, I used GF’s High Performance Topcoat in Flat. The result was simply gorgeous! 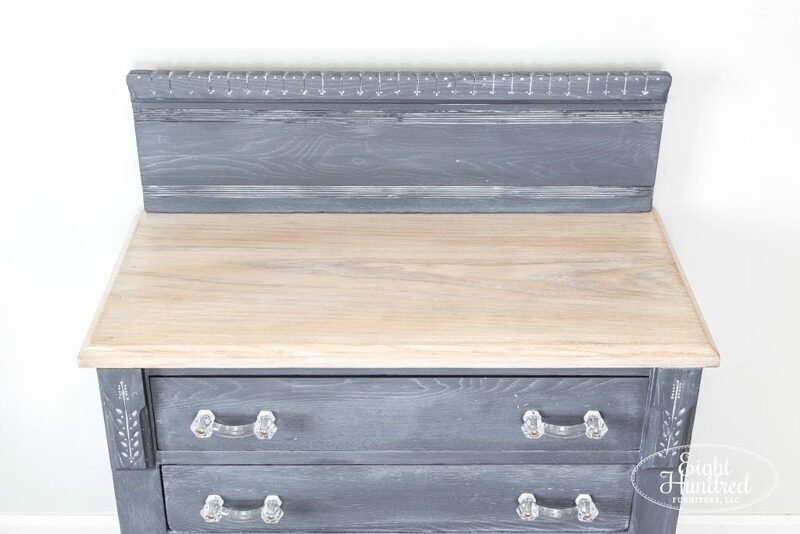 I really like how the veining in the wood played well with the gray color I chose for the base. I really wanted to paint this piece in white, but I was too nervous that the orange stain would bleed through. 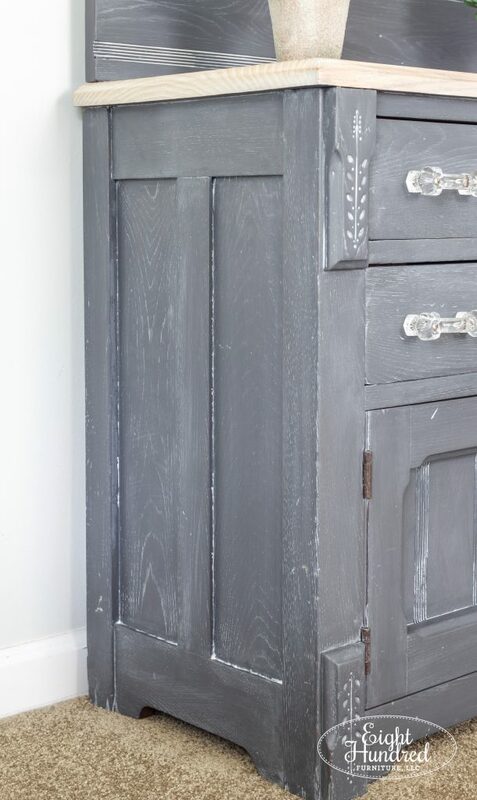 I also wasn’t in the mood to prime the piece, so I opted for General Finishes Queenstown Gray Milk Paint. 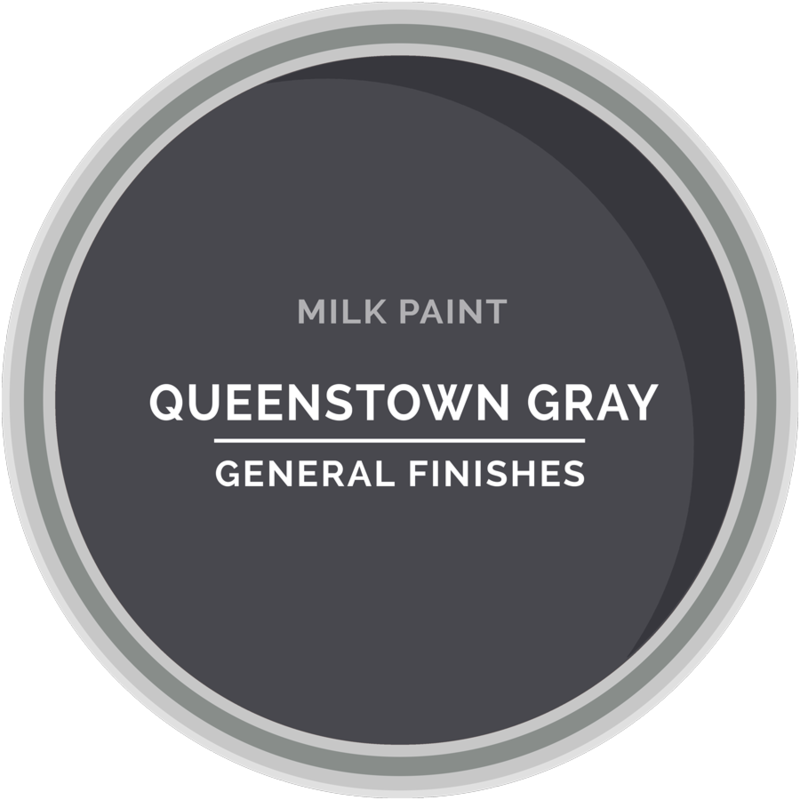 Queenstown Gray is the darkest gray in the GF Milk Paint collection. 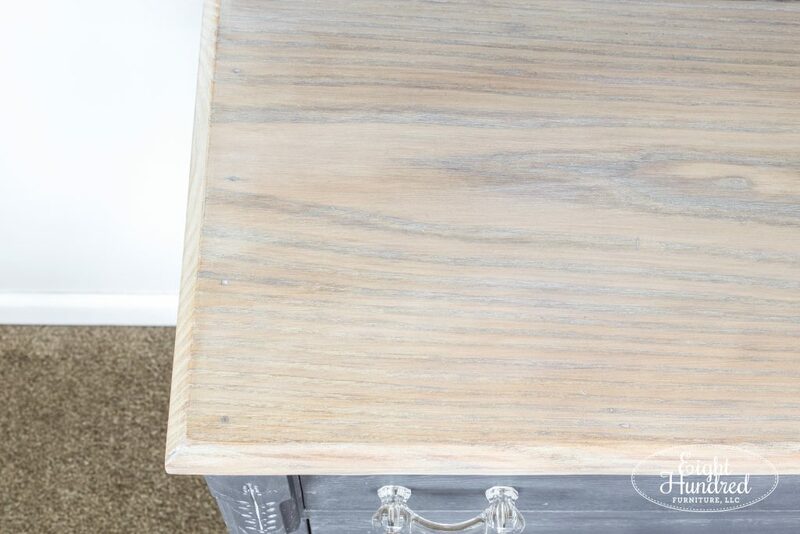 You can see it up against Driftwood and Seagull Gray in the photo below. Because I was using such a dark gray color, my mind was at ease when it came to bleed through! I applied my usual two full coats and a touch up third, allowing plenty of dry time in between. (General Finishes recommends anywhere from 2-4 hours.) 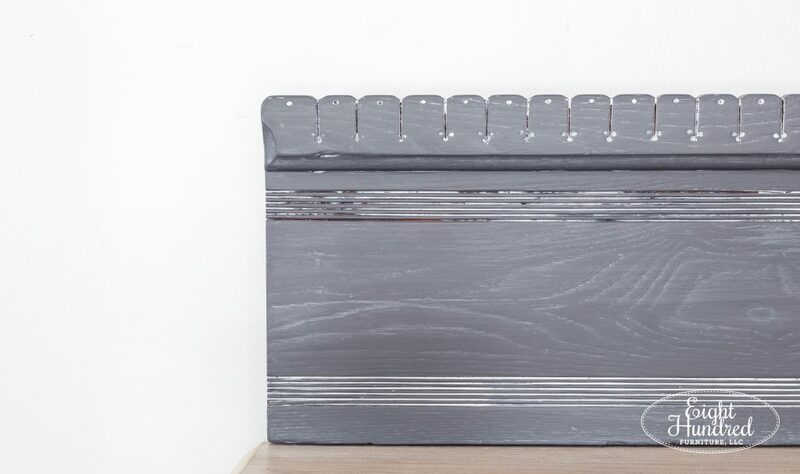 If you don’t wait until each layer of product is fully dry, you run the risk of trapping moisture in between your layers of paint, topcoat, or stain which will result in foggy spots on the finishes piece. You definitely don’t want to rush the process! 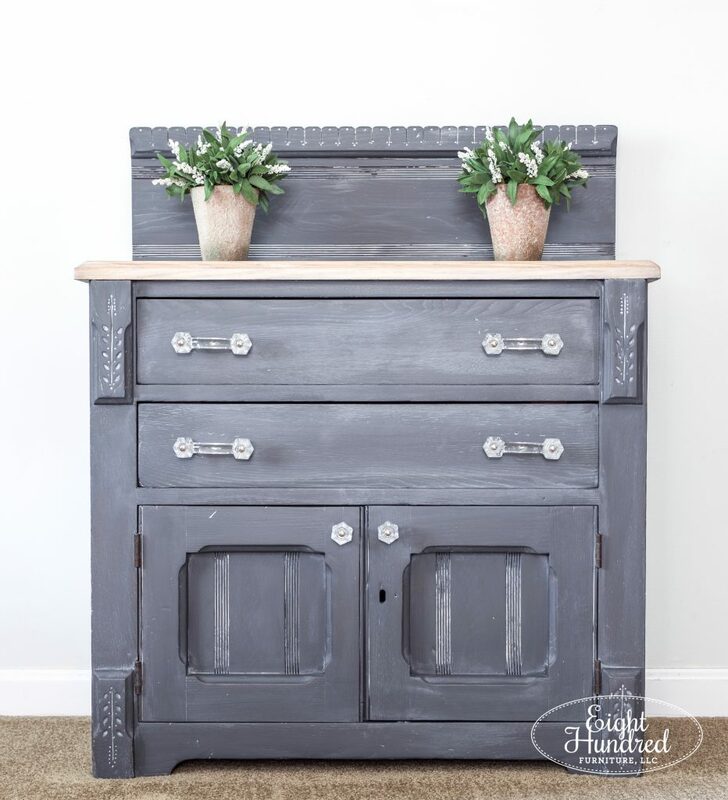 Once I stepped back and looked at the washstand, it was pretty with its whitewashed top and gray paint, but it was missing something. 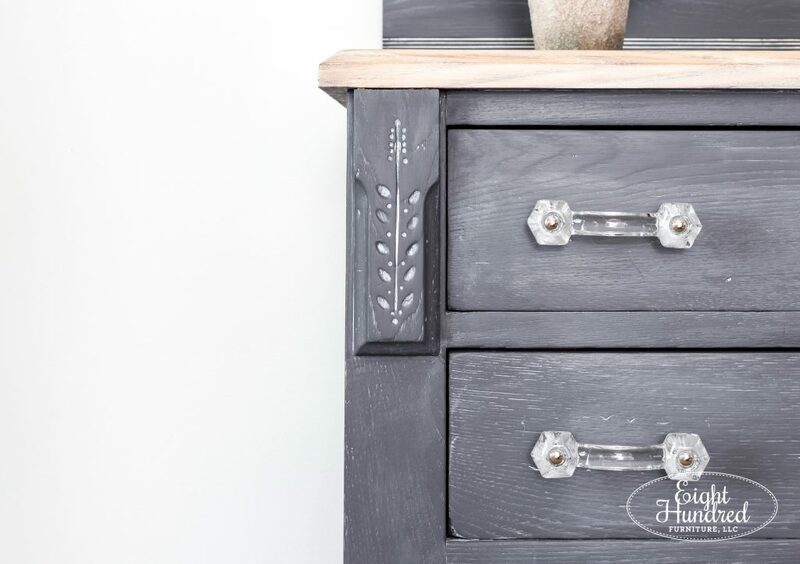 All of the carved details were disappearing into the gray color and the eye wasn’t drawn to them at all. 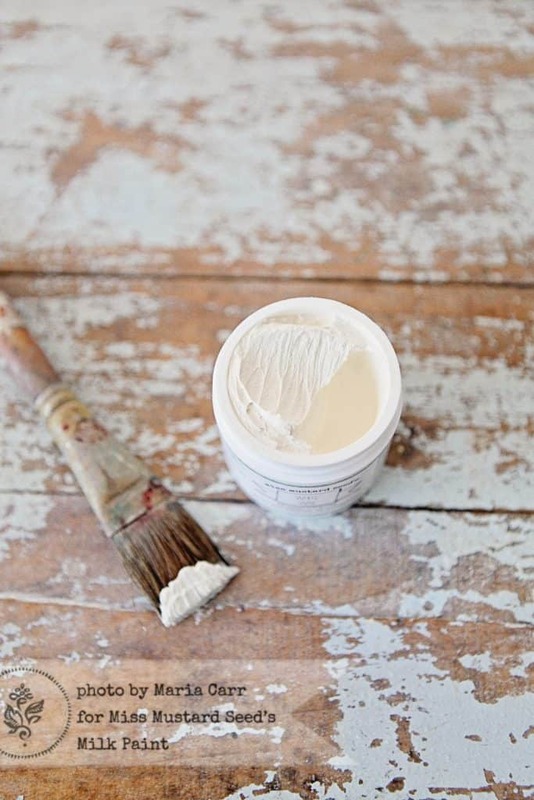 So, I brought out my White Wax by Miss Mustard Seed’s Milk Paint. I do encourage you to test how products from different lines behave with one another before you use them on a piece of furniture. 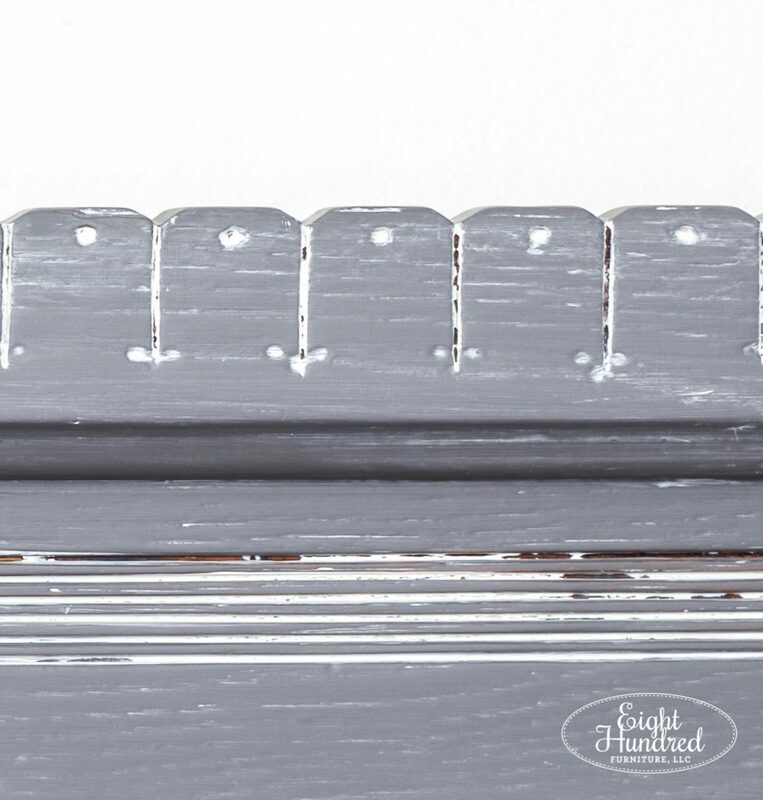 I could have used General Finishes Winter White Glaze to get the same look, but I wanted to test and see how Miss Mustard Seed’s White Wax behaved. It worked out really well! I smushed it into any crack and crevice where it would go! Now you can really appreciate the details on this piece! 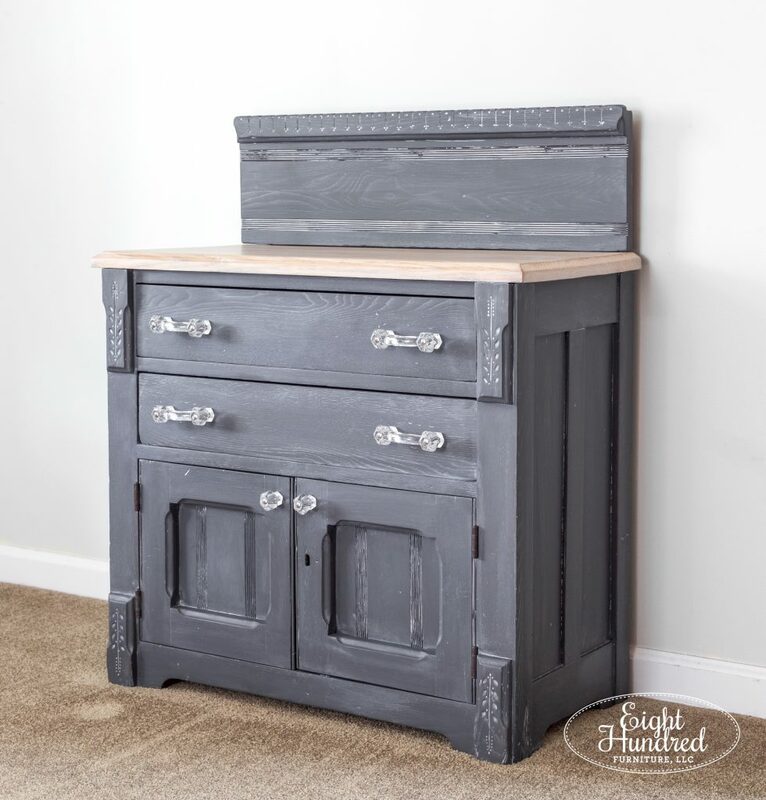 This washstand is super solid and has drawers that slide in and out easily. 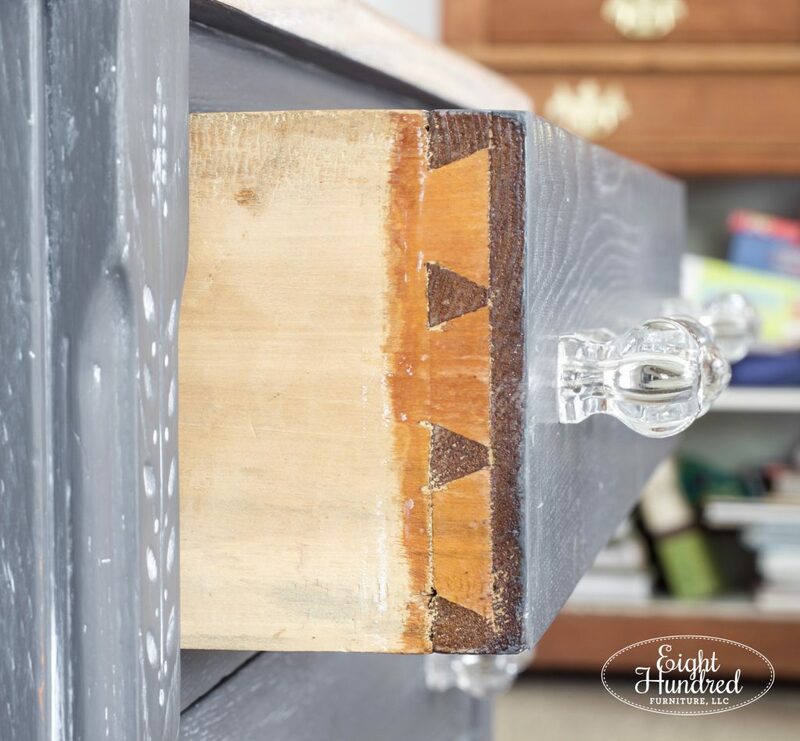 I lined the inside of each of the top drawers, and they have beautiful dovetail joinery. 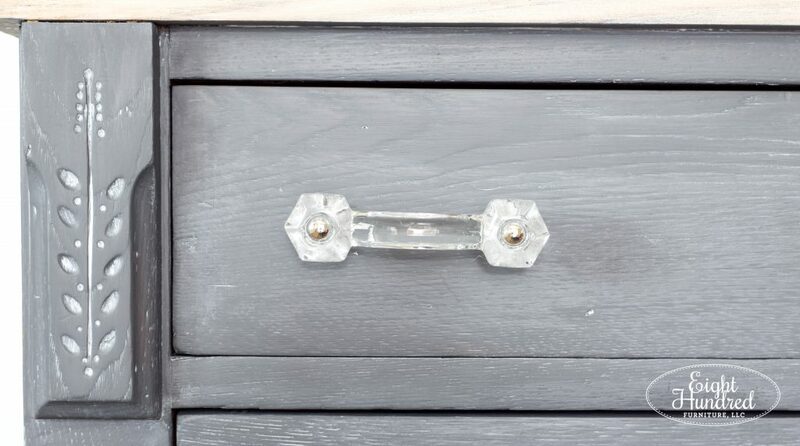 Speaking of drawers, here’s a close up of those pretty glass handles. Aren’t they so much more subdued than the gaudy cherub handles that were originally on the piece? Now to be fair, Victorian era furniture was designed to be intricate and over-the-top. It was a time when people could flaunt their wealth (if they had it) and it was often done through furniture and interior decorating. 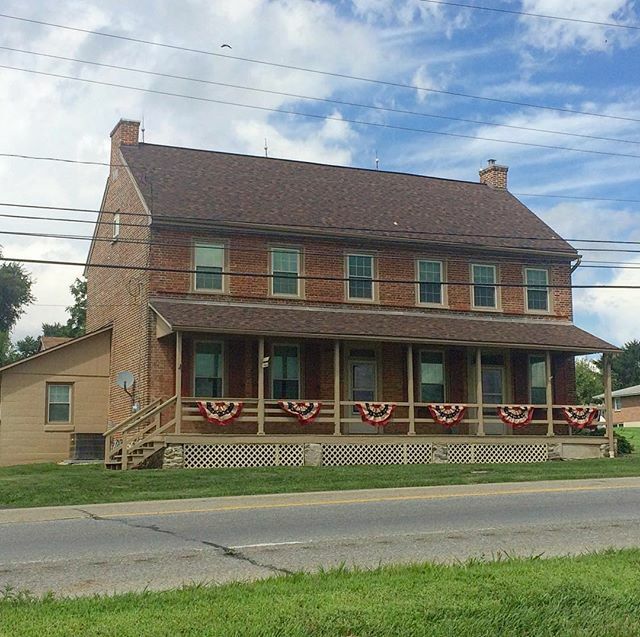 The Victorian era was characterized by gingerbread moulding and trim, velvet fabrics, tassels, fringe and ornate carved furniture. While I sincerely appreciate that style, I wanted to calm this particular washstand down to a more homey level. So what do you think of its new look? This washstand is currently for sale in my room at Homestead Studios for $215. I brought it over today and switched a few things around. Pop by to see what else is new, because goodies are arriving on an *almost* daily basis!